James Watt's personal correspondence with leading scientific figures. James Watt's diaries, account books and memoranda books. James Watt's business records on instrument making, copying machines, surveying and steam engines. Papers concerning Watt's various legal battles on the steam engine patent extension, Boulton v Bull, and Boulton & Watt v Hornblower & Maberly. 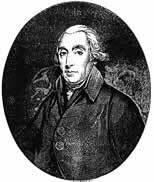 James Watt's miscellaneous papers including material on Argand’s patent for a lamp, Priestley’s library, canal business, discussions with Telford on bridge designs and with Fulton on steamboats and the advantages of steam engines. James Watt Junior's press copy letters and personal correspondence. Lord Gibson-Watt, Doldowlod House, Llandundod Wells, Powys, in June 1994, with the assistance of the National Heritage Memorial Fund, Victoria and Albert Purchase Grant Fund and may other donors. They are now housed in the Archives Division of Birmingham Central Library. They comprise some of the most important documents on the history of the Industrial Revolution.